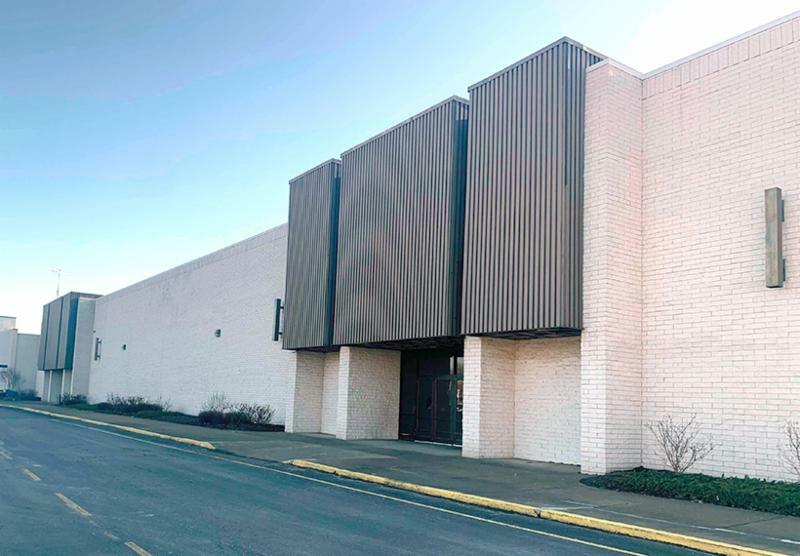 The owners of the Ohio Valley Mall in St. Clairsville have announced retailer Dunham’s and a Hampton Inn & Suites will occupy the space left behind by Kmart’s closure. 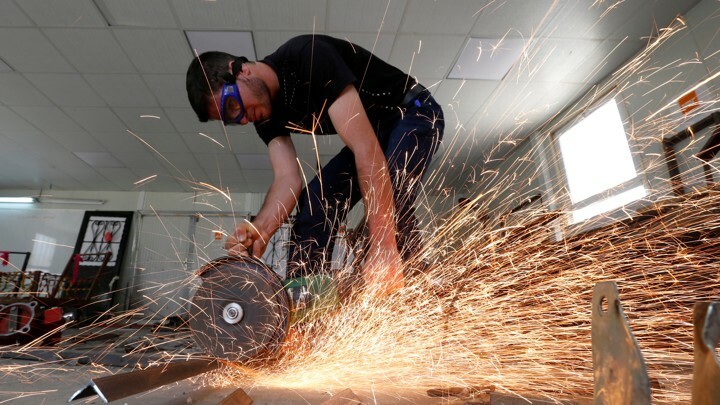 When college is held up as the one true path to success, parents—especially highly educated ones—might worry when their children opt for vocational school instead. What’s the best lesson you’ve learned from leadership training and how have you applied it at work? 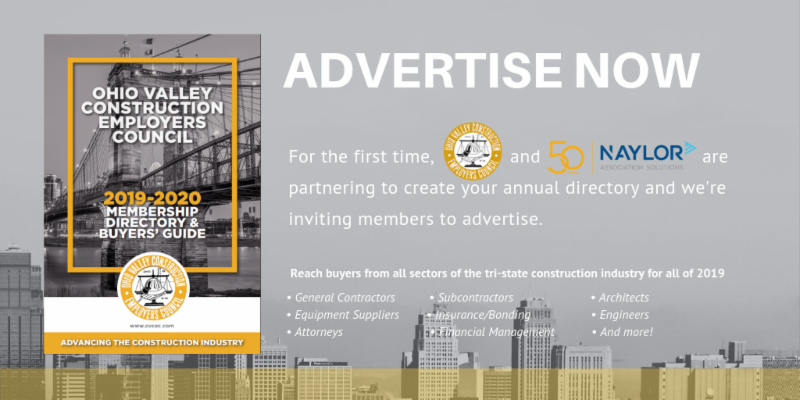 I want to share with you that we have proudly partnered with Naylor Solutions , a leader in Membership Directories and Industry Resource Guides to produce a new membership directory for the Ohio Valley Construction Employers Council. 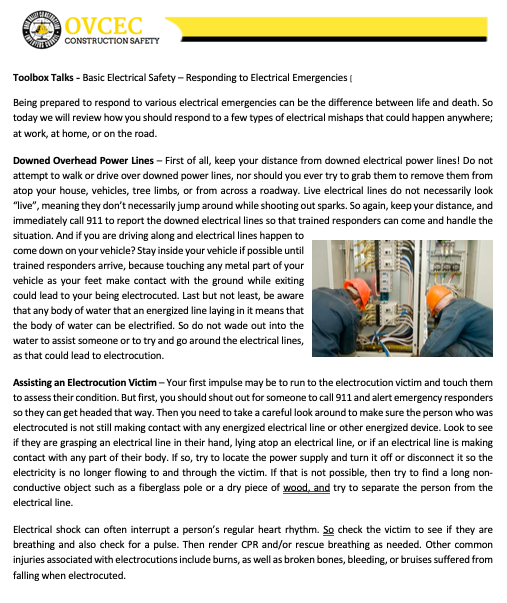 So if you're receiving phone calls, emails or mail from Naylor Solutions on behalf of the OVCEC. I encourage you to have a conversation with them. As a member you will STILL have a free membership listing but our new directory will provide you with some new opportunities to market yourself and your organization. 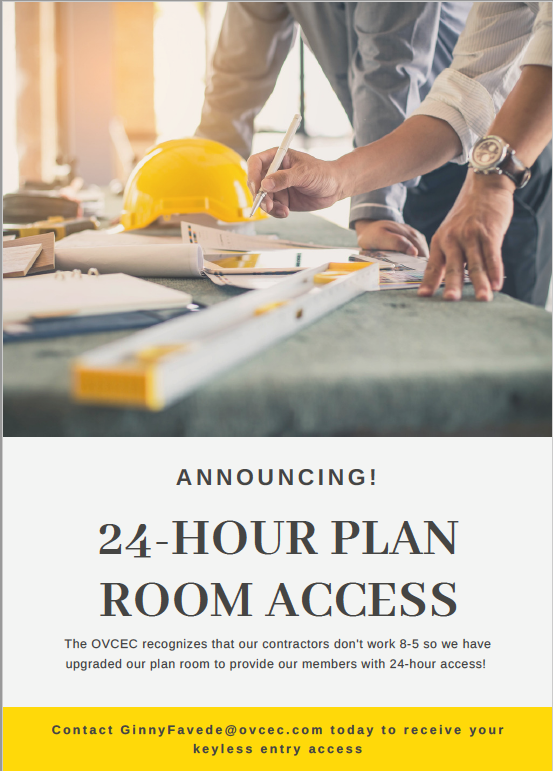 With the phenomenal growth we are witnessing in the construction industry that only promises to increase with the much-anticipated announcement of the PTT Ethane Cracker, now is the time to promote yourself and I can think of no better place to advertise and market your company than in the OVCEC's Membership Directory. We are the Voice of the Construction Industry! go-to since its original printing in 1954. In our new guide, you will find contact information for general contractors, subcontractors and suppliers, as well as companies that provide support services, like wealth management, insurance, and more. It's not unusual to find well-worn, dog-eared copies on the desks and in the work vehicles of building managers, project managers and superintendents. 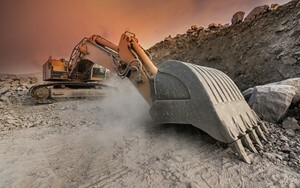 It is the #1 resource for West Virginia, Ohio and Pennsylvania contractors! 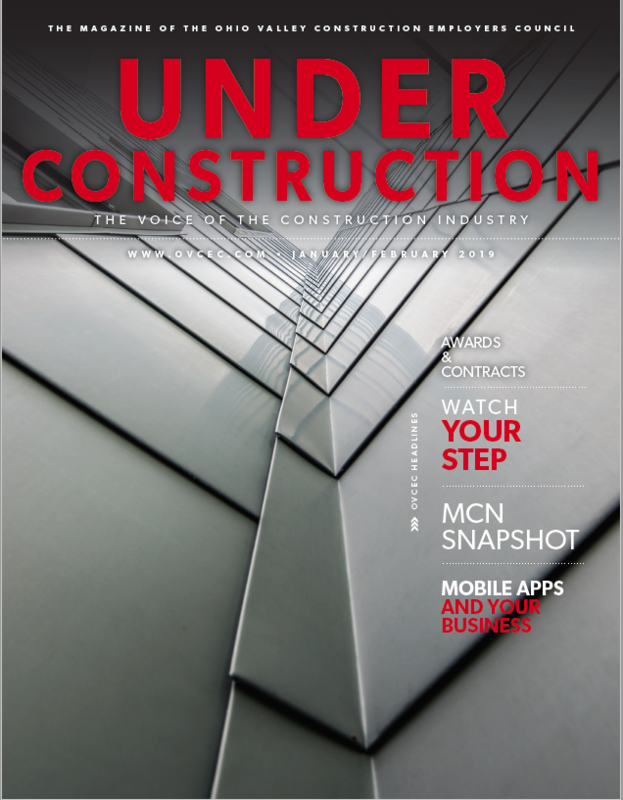 More than 6,000 printed copies of this comprehensive construction industry directory are distributed each year. 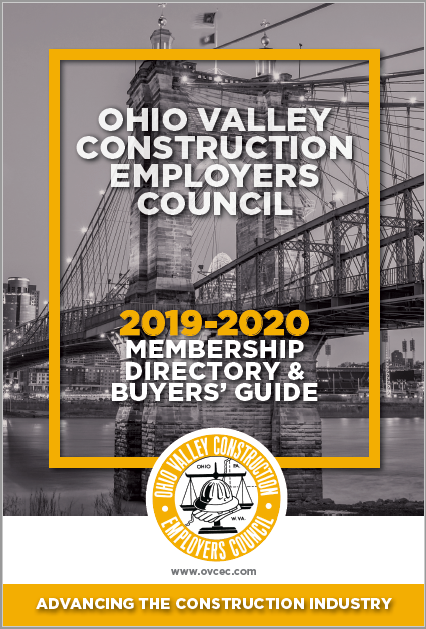 The NEW Ohio Valley Construction Employers Council Membership Directory will offer Advertising Opportunities available through a special classified section. List your company information today, along with goods, products and services to the construction industry. Contact Ken Kepler at (352) 333-6022 or kkepler@naylor.comfor more information. 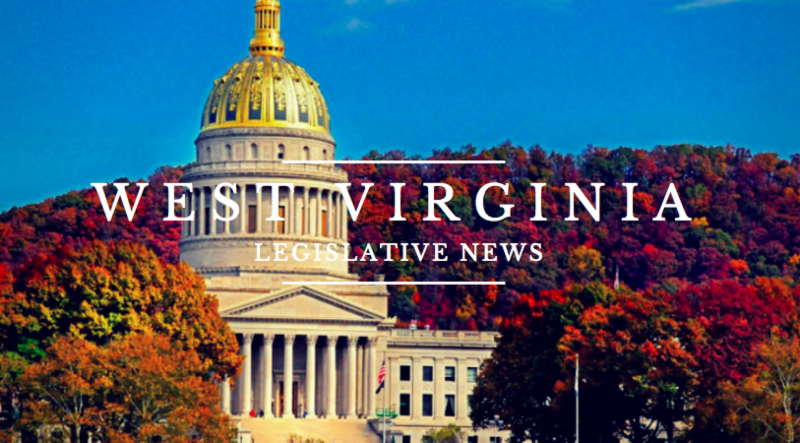 The 2019 West Virginia legislative session came to a temporary end on Saturday, March 9 after passing a $4.6 billion dollar spending plan for FY 2019-20. Unfortunately, Lawmakers could not come to an agreement on teacher pay and educational reform efforts. The House of Delegates agreed to a 5% pay increase for state teachers and school service personnel untethered to other issues while their Senate colleagues held firm to their beliefs that any teacher pay increase should be tied to various education reforms, including the creation of charter schools and education savings accounts. Both of which drew the opposition and contempt of the teacher lobby. The inability to reach a compromise on these important education matters compelled Governor Justice to call an education related special session that technically began on Sunday, March 10 immediately after the regular session ended. This special session call is different from past special sessions because legislative deliberation didn't officially begin on March 10. The Governor, along with the counsel of legislative leaders, decided to recess and send lawmakers home for an extended period of time in order to hear from teachers, school boards and other educational professionals on the issues left on the legislative table. This “cooling off”period will, hopefully, lead to some consensus on pay and reforms that can be approved by the full legislature and be signed by the Governor. These educational listening sessions are now scheduled to be held around the state. Most statehouse politicos predict that lawmakers will return to complete its special session work in early June. It is important to note that state budget does have the necessary revenues to plug in a teacher raise that is expected to cost between $40 - $50 million. SB 1 - which provides state “last dollar in “ grants for community and technical college education. 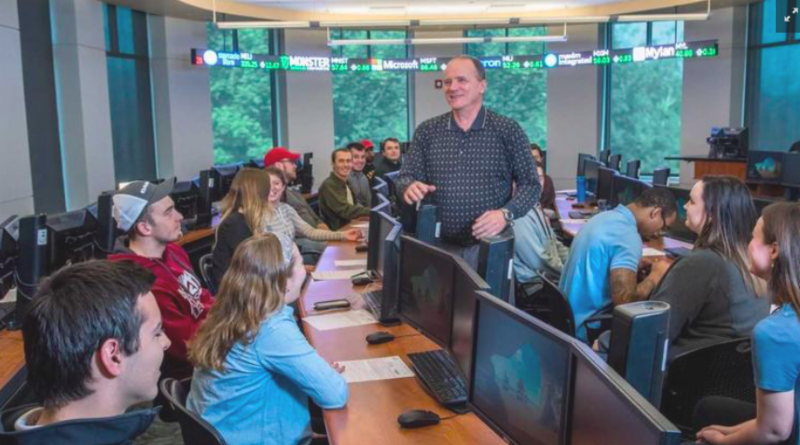 HB 2004 - which creates new coordination between secondary school curriculum and community workforce and training programs that are tailored to local needs. SB 4 - the Municipal Home Rule legislation that awards permanent home rule status to existing home rule cities and creates the criteria for new applicants. This bill passed in clean fashion without the burden of “right to work” requirements or efforts to restrict municipalities from pursuing fair RFP proposals. SB 3 - establishes the WV Small Wireless Facilities Deployment Act which will bring small cell and 5 G development to cities and counties in the state. 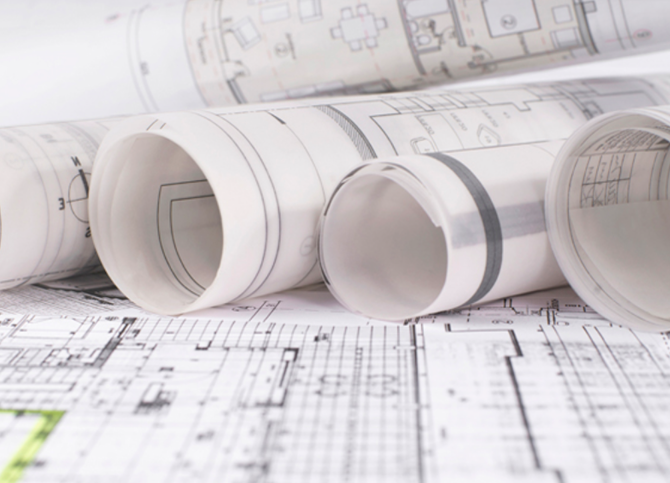 HB 2049 - relating to a prime contractor’s responsibilities for wages and benefits. HB 2673 - reduces the severance tax on low volume wells and directs that money to a special abandoned and orphan gas and oil well plugging program. HB 2538 - sets up a mechanism for legal state banking services for the sale of medical marijauna. HB 3142 - lowers the severance tax on thermal (steam) coal from 5% of gross sales to 3% over the next three reporting years. HJR 17 - would have put the elimination of the business and inventory tax to a statewide referendum. As much as business interests hate this punitive tax, the revenue loss to county, cities and, especially, school boards is too great to reconcile. 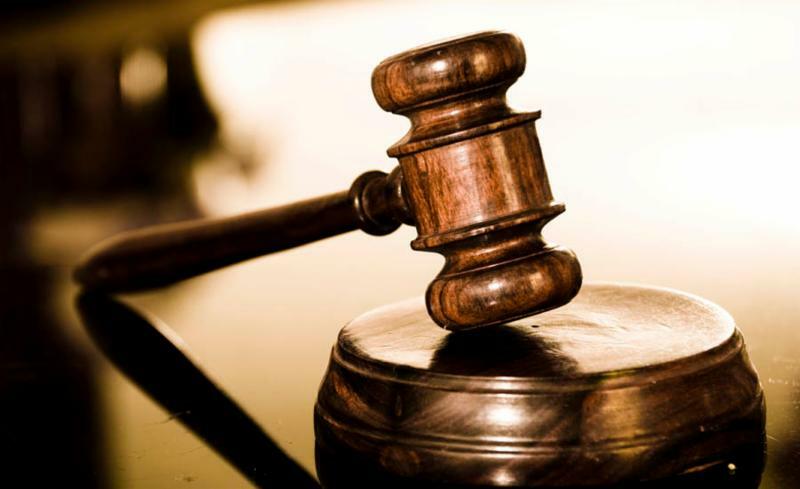 SB 258 - this year’s tort reform effort. 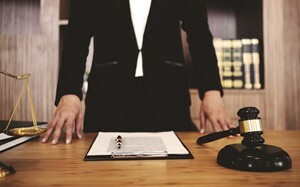 The legislation would have prohibited “veil piercing” claims to be applied on personal liability claims. SB 266 - the bill that would have created a Court of Appeals and WV Appellate Review Organization Act. The Court’s projected cost and the drop in filed appeals at the Supreme Court level continues to plague its chances. HB 2032 - would have allowed concealed carry gun rights to licensed owners on state higher education facilities and campuses. HB 2038 - created new criteria that would have reduced or eliminated any need for regulating and licensing of any profession or occupation. HB 2203 - creating a new WV Contractor Licensing Board and moving said Board out from under the authority of the Division of Labor. In a county which hosts an existing licensed racino operator. 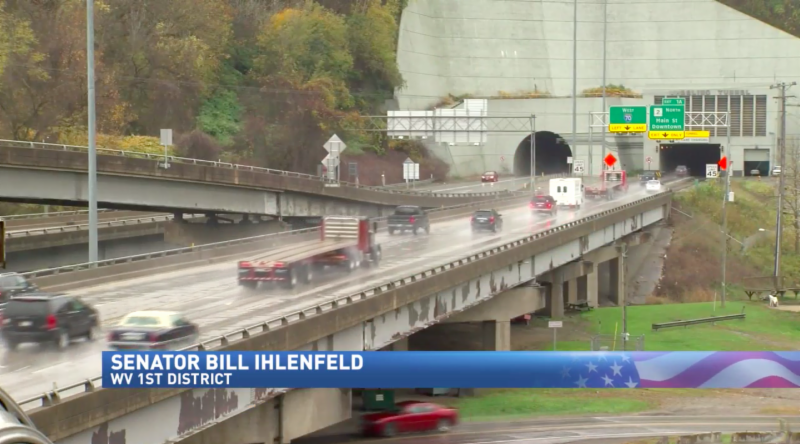 This bill was introduced to help the City of Wheeling and Wheeling Downs Racino weather the expected loss of traffic and revenue when construction begins on the Interstate #70 bridge and deck replacement project. In other political news, Kanawha County Circuit Judge Jennifer Bailey finally ruled that the state’s 2017 right-to-work legislation was unconstitutional. 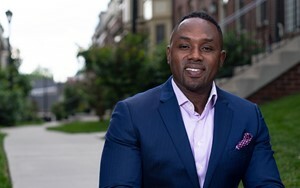 Bailey claimed that the legislation was a violation of the state’s takings clause whereby one group receives economic benefits derived from the dues and self assessment of others. The Judge’s ruling should be quickly appealed to the Supreme Court where there is an expectation that the new Court makeup will lead to overturning Bailey’s decision, remove any stay and validate the right-to-work legislation. In a surprise move one day after the WV Legislature ended its regular session, Governor Justice fired Secretary of Transportation, Tom Smith . 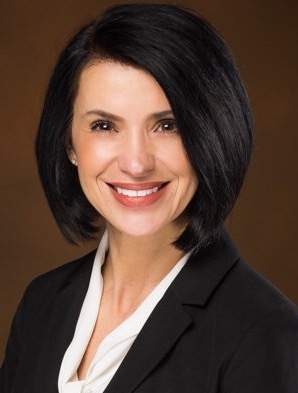 Smith was pushed out after a long list of vocal legislators and angry motorists raised public, and sometimes angry, concern over the state of secondary roads in WV. Secretary Smith, a former executive with the FHWA, was brought into the Justice administration and was tasked with crafting and selling the much heralded Roads to Prosperity bond referendum that passed with overwhelming approval. The Governor, feeling political pressure to find more money for a deteriorating road system, has called for using some of the bond money to repair and repave secondary roads. It is widely reported that Smith was opposed to using bond money for county maintenance needs. This rift, coupled with an angry public, poor county maintenance programs, a horrendous winter season that caused hundreds of slips and slides were all too much of a burden on Smith’s tenure. The General Assembly continues its final deliberations on Governor DeWine’s $7.8 billion transportation budget. The House has included in its budget version a motor fuels tax increase of an additional 10.7 cents per gallon. 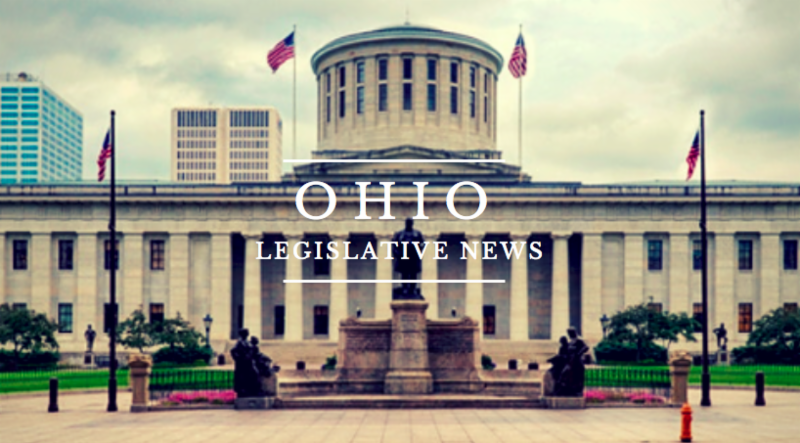 It has also included a provision that would earmark $5 million annually to eastern Ohio counties to address the roads and infrastructure needs created by the recent shale boom. The Senate transportation budget, however, does not contemplate a gas tax increase nor does it include the $5 million earmarked for eastern Ohio roads and infrastructure need s. The Senate has indicated that it is interested in some level of gas tax as long as that increase could be offset by some other personal tax reduction. These two conflicting views and positions will be ironed out by a joint transportation budget conference committee. The committee is expected to complete its work sometime later this week. When lawmakers complete their work on the two year transportation spending plan, they will begin to focus attention on the the two year biennial executive budget that covers all other state government spending. Governor DeWine has just introduced his first budget bill to the General Assembly. The budget would spend $150.4 billion over the next two years. The spending plan also projects an $400 million surplus by the end of June, 2019. The budget bill does not call for any increase in business, sales or individual taxes for the next two years. Lawmakers must complete its budget work by the end of June. Project BEST will be hosting the 5th Annual Construction Job & Career Fair on May 2nd at the Wheeling Park Ice Rink in Wheeling, WV. 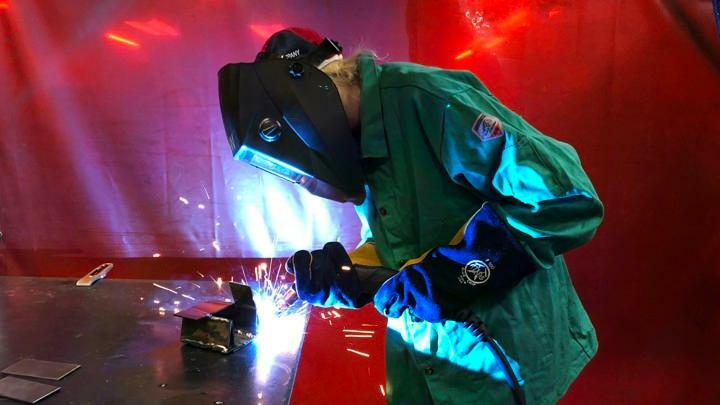 The career fair is meant to provide opportunities for students and their parents to gain a better understanding of the construction trades careers available and the path to pursue one. 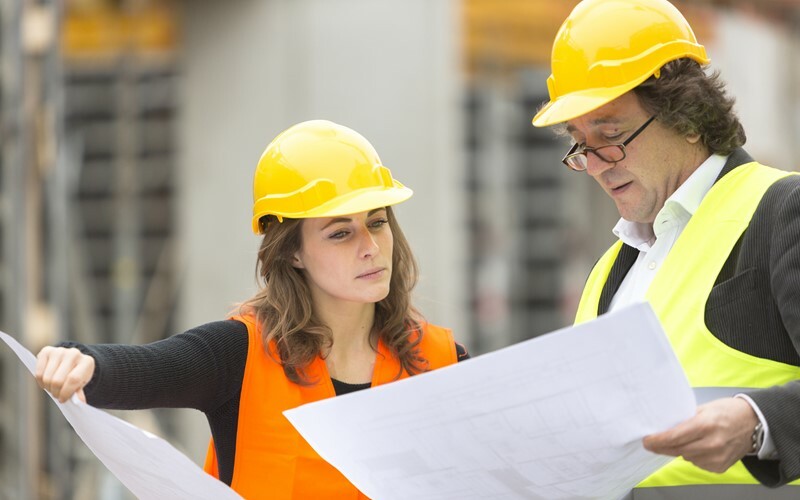 Union construction apprenticeship programs allow men and women, regardless of race, the ability to develop and hone skills needed to become a highly trained and highly skilled journeymen, while learning how to safely and efficiently perform their duties. 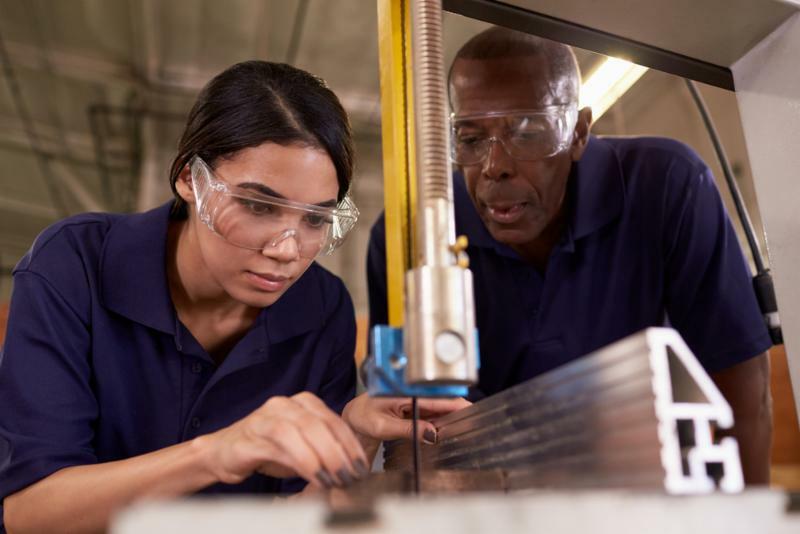 Apprenticeships are an excellent alternative to college, providing men and women with a direct path to a middle-class lifestyle by letting them earn while they learn.